Bread is part of the carbohydrates food group in the food pyramid diagram. It is recommended that we have 6-11 servings of starches in a day. And when it comes to bread, it's important that we eat the healthier types. There's no better and cheaper way to have bread than to make it yourself, especially when you want to eat healthy on a budget. It's easy and you have your bread nice and hot, and that's just delicious. There are plenty of easy, heart healthy bread recipes and we're here to give you just that. This is a brown, moist American bread that is cooked by steaming in round tins. If you don't have round tins, you can use empty fruit cans for baking or empty tin cans suitable for baking and cover with foil securely and tie it in place. In the 16th century, in the Puritan days, bakers often baked the pots of beans in their ovens for householders, and they added a bonus- you guessed it... a piece of brown bread. Brown bread is much healthier than white bread. This is because the white flour used to make bread is flour that would have been processed and many of the nutrients such as wheat germ and bran, would have been lost. So having brown or whole wheat or the different types of bread we have here for you are a great way for you to start your healthy eating journey. Pre-heat your oven to 180 degrees Celsius/ 350 degrees Fahrenheit/ 4 on the gas mark. Sift rye flour, wholemeal plain flour and bicarbonate of soda into large bowl. Stir in cornmeal, sugar and raisins. Combine milk, treacle and vinegar and stir it into the above mixture. Spoon the mixture evenly into the prepared tins, replace lids. Bake standing upright for about an hour. Stand rolls for 10 minutes before removing lids and turning onto wire rack to cool. Your bread is ready to eat, spread or fill it with whatsoever tickles your fancy and enjoy. Note: Recipe can be made two days ahead. Store your bread in an airtight container. This is good bread for a steak sandwich, French dip roast beef or a grilled mozzarella cheese and tomato sandwich. 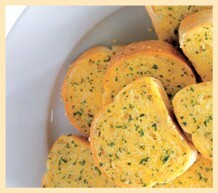 Baking the garlic in the bread lightens the flavor. Add another clove if this is not a strong enough garlic statement for you. Parsley has many therapeutic health benefits. It's rich in iron so it builds up blood. 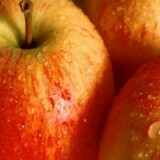 It's also high in vitamin C so it assists in the absorption of iron. It's also a blood purifier, dissolves cholesterol within the veins, amongst many other benefits. Garlic amongst many great benefits is an antioxidant. Meaning it can help to protect the body against damaging 'free radicals'. So this is how this bread passes into the healthy bread recipes category. Not only is it healthy, but it is also simply delicious. Add all the ingredients in the order suggested by your bread machine manual and process on the basic bread cycle according to the manufacturer's directions. Let the loaf cool before slicing. Serve it plain or toasted. Kids love and enjoy experimenting, and what better way for them to do so than when you cook or bake together. It's a great experience for you and your child. You get more bonding time and the kids love that. Here is a simple recipe amongst the many healthy bread recipes that your child with your assistance and supervision can make easily. Your kids will also love preparing their own snacks, for that you can follow the link healthy snack recipes for kids and get some ideas. Please note there will be some stirring on the stove so you need to assist your child and make sure they don't burn themselves, other than that, it's an easy-to-follow, delicious recipe. Combine sugar, butter, dates and water in pan. Stir over medium heat until sugar is dissolved without bringing to boil. Bring to boil once sugar is dissolved, remove from heat and let it cool. Stir into the date mixture nuts, eggs, soda and sifted flour. Spoon mixture evenly into prepared loaf tin. Place in oven and bake for about 40 minutes. Stand the loaf for about 10 minutes before turning onto wire rack to cool. Serve sliced with your favorite spread. A bread maker or bread machine also makes things easier when you want to make some bread. 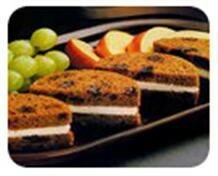 Here is one of the many healthy bread recipes that you can do together with your child using the bread maker. Sweet potatoes, like carrots and most of the yellow or orange fruits and vegetables, are carotenoid-rich. The benefits are that they help to improve your immune system's functionality, amongst other reasons. Nuts are a great source of protein. They are also rich in fiber and antioxidants such as Vitamin E. They are also high in the good fats- omega 3 which lower LDL, (the bad cholesterol in blood), this is just a tip of the iceberg of the benefits of nuts. So you can gladly eat this bread knowing that it's part of the healthy bread recipes and you are doing your body great service. Place all the ingredients in the bread maker (excluding the nuts and the raisins) and push start. Use the raisin bread cycle, adding the nuts and the raisins at beep. 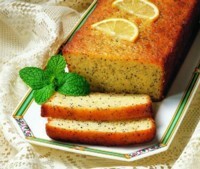 Poppy seeds are a rich source of carbohydrates, calcium and energy. Poppy seeds have been seen to have many health and medicinal benefits. It has been discovered that consuming half a teaspoon of poppy seeds can alleviate symptoms of asthma and whooping cough. Lemons, as we know, are citrus fruits which are high in Vitamin C and help our immune system fight against infections. 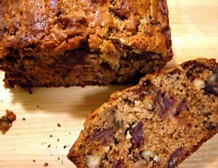 So this is yet again one of the many healthy bread recipes that you will enjoy consuming. Add all the ingredients into your bread maker. Use the basic cycle. Carrots are rich in Vitamin A, which helps to maintain healthy mucous membranes and healthy eyes. Carrots, because they are carotenoid-rich, help to reduce the risk of cancer, heart disease and can improve your immune system's functionality. 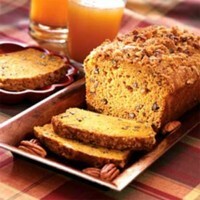 This is what makes this recipe pass into the healthy bread recipes category as it contains fruits and vegetables. You may read more about the benefits in fruit nutrition and vegetable nutrition facts. Add the ingredients according to your bread machine manufacturer's instructions. Put it on medium color setting and add the nuts and apples at the beep. This bread is absolutely delicious and easy to make. It's one of my favorite healthy bread recipes. Try it out... I'm sure you'll love it, your family and friends will love it too! Add the ingredients according to your bread maker manufacturer's directions. Note- Thawed fruit juice concentrate (apple, orange, etc...) is used here in place of fat. Use butter in its place if you desire. Bon Appetite! 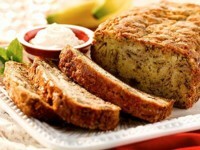 Here's hoping you will enjoy the making bread with these healthy bread recipes, together with your kids of course.